A team of scientists aboard the International Space Station retrieves a dormant bacterial life form from Mars and revives it in their lab. 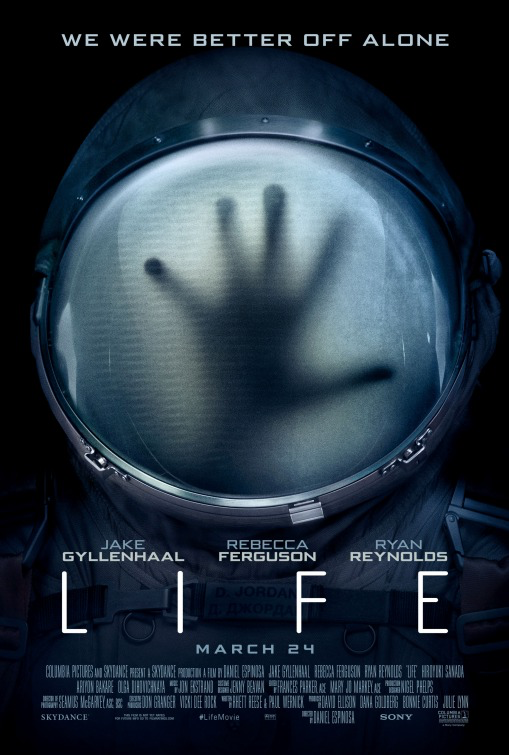 This rapidly growing and evolving alien soon threatens the safety of the crew. Will they outwit this ET and survive? Like when I saw Alien, when I left the theater after seeing Life, my muscles were sore from being tensed up for most of the film. Life is intense, scary and gory, but it’s also unpredictable and entertaining. A live version of Disney’s classic animated film, Beauty and the Beast is a must-see. It’s been updated with new songs and new characters, and Belle has more moxie than in the animated version. 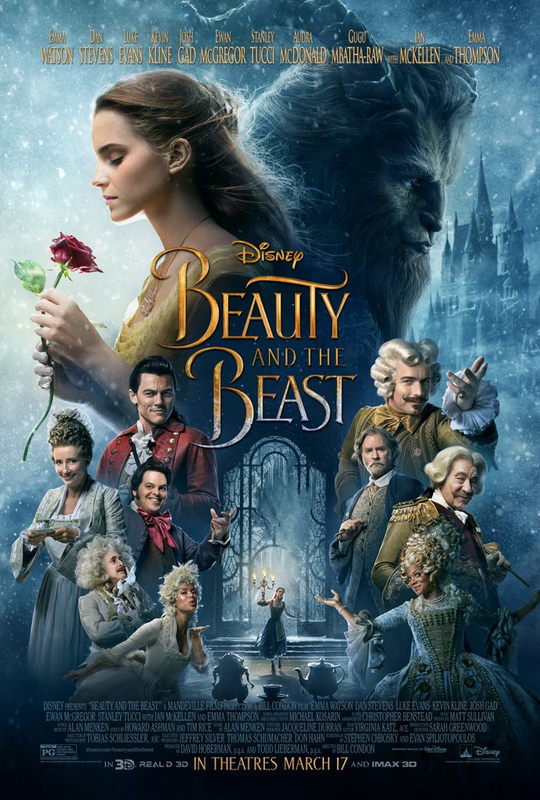 Beauty and the Beast has all the making of a big budget film-the all star cast, beautiful scenery and lavish dance scenes. It’s my favorite movie for the 1st quarter of 2017!